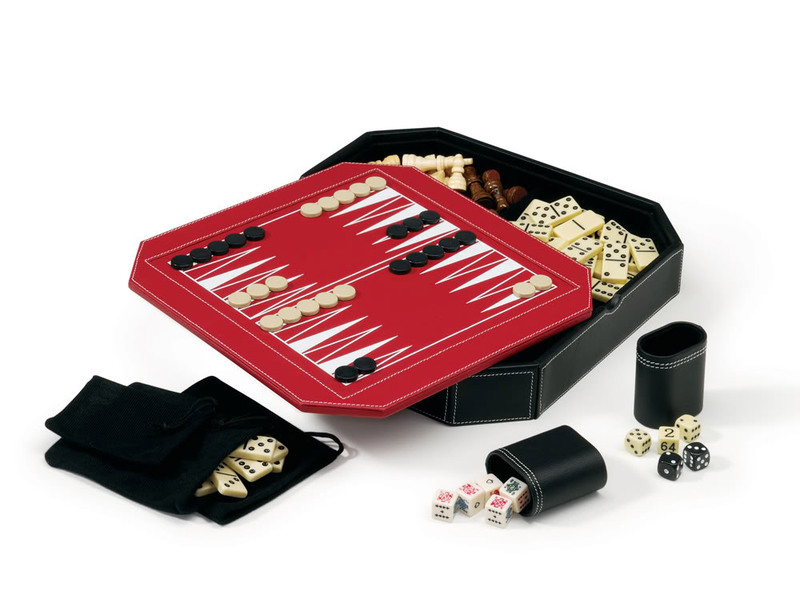 Take your favorite games of yesteryear on the go in one convenient package with the Mainstreet Classics 5-in-1 Octagon Combo Set! This comprehensive package is a self-contained carrying case for all the pieces that come included. 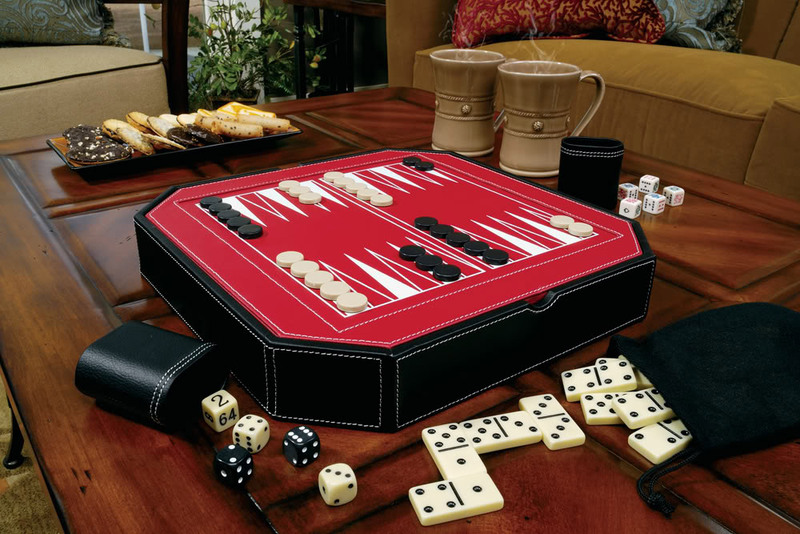 The Octagon contains five of your favorite classic board games in one place: chess, checkers, backgammon, dominoes and poker dice games. This all-in-one combo starts with the sharp black and red leatherette covering that surrounds the entire exterior. It’s a sleek design that will look great alongside the rest of your collection. 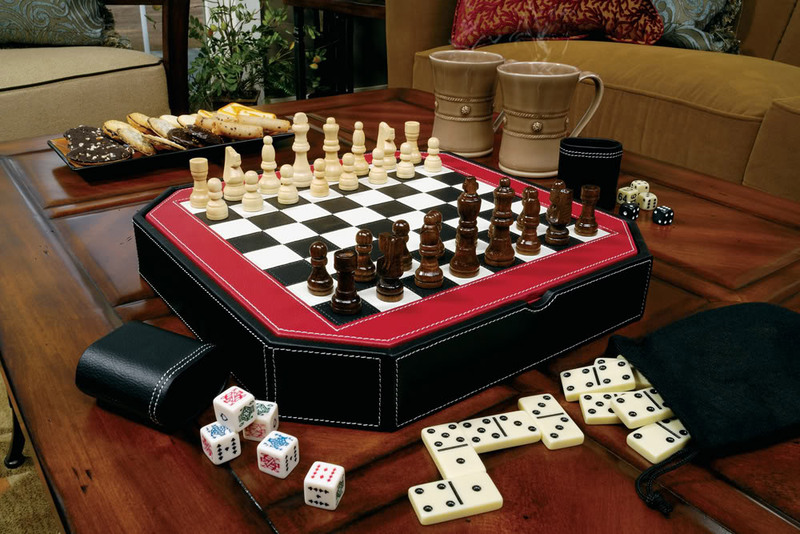 The top serves as the playing surface for chess and checkers on one side, with backgammon on the reverse. Underneath that is the open storage space to hold all of the other loose pieces when not in use. This is a great way to keep the numerous pieces for all the different games in one place. Once packed away, the Octagon is highly portable, so you can take your favorite games on the go! Speaking of pieces, the Octagon’s got them all. 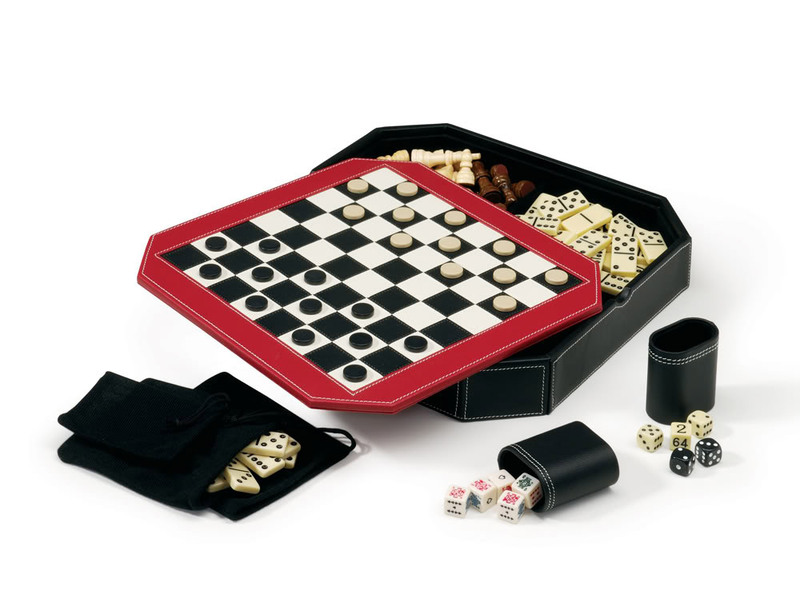 Included in this set are: a full set of chess pieces, chips for checkers and backgammon, two sets of dice, a doubling cube 28 piece set of double-six dominoes, a five piece set of poker dice, two leatherette dice cups, three cloth storage bags and playing instructions for each game.